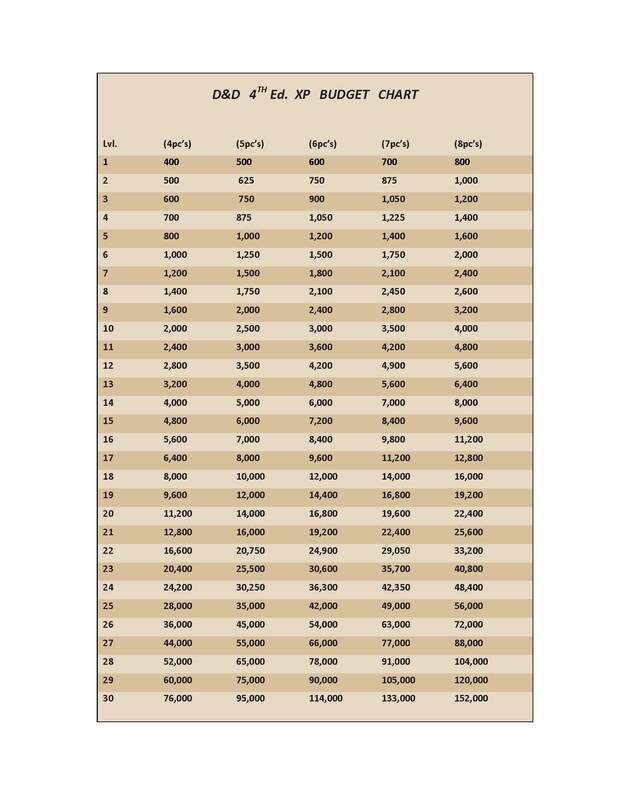 If you DM more than 5 PC’s in your 4th Edition D&D game, you may find this useful. I cooked it up for my game because I was getting tired of having to do simple arithmetic that I have been terrible at since I was 7. The chart gives you XP encounter values for up to 8 players. Hope someone gets something out of it. Please download the pdf as the jpeg will probably not print correctly. PDF Available Here. Thanks, I don’t know why I didnt’ do something like this before, since I’ve DMing for more than 5 players for a while now. Thanks. Your 8th level with 8pc has the wrong value. It should be 2800.